FULLERTON JOINT UNION HIGH SCHOOL DISTRICT. The due process hearing in this matter proceeded on October 29, 30, 31, and November 1, 2012, in Fullerton, California, before Administrative Law Judge (ALJ) Clifford H. Woosley, from the Office of Administrative Hearings (OAH). Mother appeared on behalf of Student, and was accompanied by a friend on the first day. Student was present throughout the hearing. A Spanish-language interpreter was provided for Mother throughout the hearing. Attorney Karen E. Gilyard, of Atkinson, Andelson, Loya, Ruud and Romo, P.C., appeared on behalf of Fullerton Joint Union High School District (District). Director of Special Education, Gregory B. Endelman, and Coordinator of Special Education, Suruchi Singh, attended the hearing for District. On August 3, 2012, Student filed a Request for Due Process Hearing (complaint). On September 18, 2012, OAH granted the parties’ joint request for a continuance of the due process hearing. On November 1, 2012, at the close of hearing, the parties were granted permission to file written closing arguments by November 19, 2012. On November 19, 2012, upon receipt of written closing arguments, the record was closed and the matter submitted. 1. Did District deny Student a free appropriate public education (FAPE), within two years before the filing of the Student’s complaint, by failing to properly respond to reports of bullying and inappropriate treatment by others at school, which caused Student to suffer emotionally, to the extent that he could not access his curriculum? 2. Did District deny Student a FAPE, within two years before the filing of the Student’s complaint, by failing to consider documents and opinions from Student’s neurologist, psychologist, and/or pediatrician, causing the District to offer eligibility and services which did not meet Student’s unique needs? 1. Student is a 16-year-old, 11th-grade boy attending District’s Sunny Hills High School (SHHS) and is eligible for special education (SE) placement and related services as a student with autistic-like behaviors. Student was first found eligible for SE services at age four, when an individualized education program (IEP) meeting in preschool found Student to display developmental delays in receptive and expressive language, social skills, adaptive behaviors, cognition, and gross and fine motor skills. His initial eligibility was speech and language disorder. Student was placed in a special day class (SDC) and received speech and language (SAL) therapy. 2. Student matriculated from the Fullerton School District’s eighth grade to District’s ninth grade on June 21, 2010. In anticipation of the transfer, the two districts held a joint transition IEP team meeting on May 20, 2010. All legally required attendees participated from both districts, including SHHS’ assistant principal Karl Zener and special education teacher Cheri Moran. Mother was present, as well as a Spanish interpreter. 1 “Special day class” (SDC) and “specialized academic instruction” (SAI) both refer to classes composed of students who require special education instruction by certified SE teachers, often with modified curriculum, to access their academics. Both terms were used in the testimonial and documentary evidence. 3. At the May 20, 2010 IEP team meeting, Mother disputed Fullerton School District’s prior evaluations, generally questioning the need for, and the effectiveness of, the SDC. The District representatives offered to conduct a full SAL evaluation (both Spanish and English) and a new psychoeducational assessment soon after Student started his freshman year at SHHS in the fall 2010. Mother provided some medical history, which caused District to also offer a full health assessment. For the 2010-2011 school year, District offered placement and services comparable to Student’s November 2009 IEP consisting of: specialized academic instruction (SAI) 1 for English, Algebra, History and Life Science; SAL group therapy, twice a week, 45 minutes per session; six weeks of extended school year (ESY) for summer 2010 (with SAL services); and transportation for ESY. Mother agreed and signed the transition IEP, which was an amendment of the November 5, 2009 annual IEP. 4. Student started attending SHHS in the fall 2010, taking his core academic classes in mild-to-moderate SDC’s. He participated in general education physical education (PE) and received two weekly, 45 minute session of SAL services. In October 2010, District commenced assessments in accordance with the transition IEP and in anticipation of Student’s November 2010 triennial IEP. 5. District educational psychologist Kristina Dominguez completed a comprehensive psychoeducational evaluation of Student and produced a report dated November 4, 2010. She testified at the hearing. She had been a school psychologist with the District for six years and was in her second year as departmental co-chair, all at SHHS. Previously, she was a school psychology intern at Bassett Unified School District for one year. She was a para-educator on the behavior support team for the Norwalk-La Mirada Unified School District for three years. For two years she was a direct service provider of applied behavior analysis (ABA) at ACES, a nonpublic agency (NPA), which specialized in providing teaching and therapy for children with autism, and other developmental disabilities. 6. Ms. Dominguez received a bachelor of arts degree in psychology from University of California, San Diego, and a master of arts in education from Alliant International University. With her master’s, she received her pupil personnel services (PPS) credential, which authorizes her to conduct assessments and service students from kindergarten through 12th grades. Her experience, credentials and education qualified Ms. Dominguez as an expert in school psychology and in the administration and interpretation of standardized tests and psychoeducational assessments. 7. Ms. Dominguez reassessed Student to determine his most appropriate eligibility, as well as to determine whether Student would benefit from receiving individual aide support, which was requested by Mother. Mother requested an assessment that considered autistic-like behaviors, because Student was recently diagnosed with autism. Mother asked for non-verbal assessments. 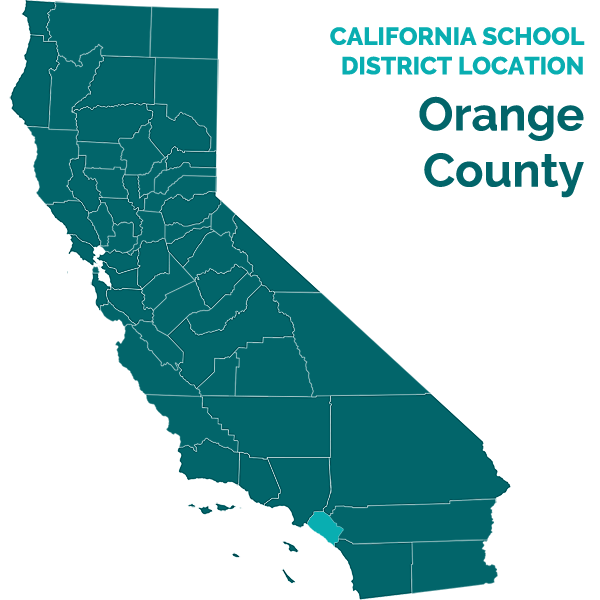 In her report, Ms. Dominguez reviewed the California regulatory criteria for Student’s suspected areas of disability, which included specific learning disability (SLD), other health impairment (OHI), intellectual disability (ID), 2 and autistic-like behaviors. A concurrent SAL assessment by the SAL pathologist Joanna Emerson would evaluate if Student continued to meet the eligibility criteria for SAL disorder. 8. Ms. Dominguez utilized the following tests and procedures: Universal Nonverbal Intelligence Test (UNIT); Woodcock-Johnson Tests of Academic Achievement, 3rd Edition (WJ-III); Comprehensive Test of Phonological Processing (CTOPP); Beery Buktenica Developmental Test of Visual Motor Integration, 5th Edition (VMI); Beery VMI Developmental Test of Visual Perception, 5th Edition (VMI-Visual); Beery VMI Developmental Test of Motor Coordination, 5th Edition (VMI-Motor); Vineland Survey Interview Report, 2nd Edition (Vineland-2); Gilliam Autism Rating Scale-Second Edition (GARS-2); Behavior Assessment Scale for Children, Second Edition (BASC-2), Spanish Parent Rating Scale (PRS); BASC-2, Teacher Rating Scale (TRS); Record Review; observation of Student; and interviews with teachers, Mother and Student. Ms. Dominguez administered the GARS-2 to Mother in Spanish. Over her career, Ms. Dominguez had administered the various standardized assessment from 25 to 100 times. 9. Ms. Dominguez interviewed Mother with a Spanish interpreter. Mother reported Student was born full term. Mother had seizures during her pregnancy and took Depakote. Following a difficult birth on May 11, 1996, Student did not spontaneously cry and required oxygen in an incubator. On October 22, 1996, Student’s left kidney was removed due to swelling and a large cyst. Mother stated that Student had delayed developmental milestones of sitting alone, walking, skipping, first words, and first sentences. In reviewing the medical records, Ms. Dominguez noted a December 2000 medical record indicating that Student presented features “compatible with pervasive developmental disorder/autism spectrum disorder,” with a recommendation for an EEG and testing for Fragile X syndrome. Mother did not permit the EEG testing. Pursuant to October 2005 medical notes, the Fragile X syndrome test was negative, but not conclusive. An MRI did not show any evidence of tuberous sclerosis complex (TSC), noting that Student required annual follow-up for suspected skin lesions. 10. Mother signed medical release forms. However, she stated that Student had not received any follow–up care for the previous five years. Ms. Dominguez requested medical records from Student’s previous doctors. None could provide updated information. 11. Ms. Dominguez observed Student during the assessment process. Student needed prompting to maintain attention but appeared to put forth his best effort throughout testing. When tasks became more difficult, he did not give up and continued to try to complete the work. He was afforded brief breaks throughout the assessment, during which time Student talked with the examiner and assisted in cleaning up testing materials. On a few occasions, Student would talk about unrelated topics (Star Wars, Halloween, etc.) but was easily redirected back to task by verbal prompt. 12. Ms. Dominguez observed student in five of his classes, which encompassed all of his teachers. During the observations, Ms. Dominguez utilized the BASC student observation system (SOS) in which data was taken at 30-second intervals for 15 minutes. At each 30-second mark, she recorded Student’s behaviors. Behaviors fell within the larger categories of adaptive behaviors (responding to teacher, peer interaction, working on school subjects, transition movements) or problem behaviors (inappropriate movement, inattention, inappropriate vocalization, somatization). She also made anecdotal observations. 13. In Jon Caffrey’s first period, Physical Science SDC, Student displayed positive adaptive behavior 76 percent of the time and problem behaviors 24 percent of the time. Problem behaviors primarily consisted of inattention and getting out of his desk. Student sat in the front row near the teacher and, as a consequence, Mr. Caffrey was able to easily redirect Student back to his desk or task. When partnered with a peer, Student worked cooperatively and stayed on task. In Mr. Caffrey’s second period, World History SDC, Student displayed adaptive behaviors 55 percent of the time and problem behaviors 45 percent of the time. When Student would go off task, he quickly responded to verbal redirection. 14. In Cheryl Moran’s third period, Social Cognitive Communication SDC, Student displayed adaptive behaviors 57 percent of the time and problem behaviors 43 percent of the time. When given an assignment to complete independently, Student was off task, looked about the room, and actually got up and walked about class. Ms. Moran directed Student to return to his desk and work on his assignment; she then went to Student’s desk and helped him brainstorm ideas. Student could only work independently for about two minutes before again leaving his seat. He returned when redirected by teacher. 15. In Mike McGuire’s fourth period, English 1 SDC, Student was observed to engage in adaptive behaviors 100 percent of the time. However, Mr. Maguire and the classroom aide were working with Student individually throughout the observation. They would help Student work for one to two minutes and then he would work independently for two to three minutes before the teacher or aide returned to assist. Student’s voice was louder than appropriate, especially since other students were completing their work. Student was also observed to start a conversation unrelated to any topic that was being discussed. In James Valenzuela’s fifth period general education PE class, Student engaged in adaptive behaviors 91 percent of the time. He did not actively engage in group conversation and, when he did, some of his physical gestures were socially inappropriate for the conversation’s context. 16. During Student’s interview, Ms. Dominguez often needed to rephrase questions because Student was unsure how to answer. He sometimes required additional prompting to provide details. Student’s responses were often not grammatically correct. He took extra time to process information and produce answers. 17. When asked about current medications and diagnoses, Student stated that he took medicine for headaches. When asked about his glasses, Student did not know how long he had worn prescription lenses but stated that his eyes were getting “smaller and smaller.” He was diagnosed with “pinkeye,” seen by the doctor, given medicine, and then told that he needed glasses. 18. Ms. Dominguez asked safety questions which Student would be expected to answer if he were lost. He was not able to independently give his birthdate, but did so with a little prompting. He knew the street he lived on, as well as the city. He was able to independently recite his home phone number. He quickly gave his Mother’s name in both Spanish and English. 19. When asked what he wanted to do after high school, Student stated he wanted to get a job. He stated he would like to have a job at “a pizza place, or in a water store, or a gas station… or a medicines, or restaurant…” Student did not appear to understand what he needed to do to prepare for any of the listed jobs. 20. Student’s teachers were given an assessment interview form in which they were able to rate and comment on Student’s achievement and behavior in the classroom. Mr. Caffrey said that Student was receiving a C-in Science and World History. He endorsed the following statements: assignments often incomplete; wasted time in class; few friends; short memory span; inappropriate responses; poor grammar and sentence structure; immature vocabulary; inability to follow oral directions; cooperative; immature; follower; very limited attention span; cooperative (in response to redirection or discipline); and reduced speech intelligibility. 21. Ms. Moran reported that Student was receiving an A in social cognitive communication. She endorsed the following statements: completes assignment, but poorly; asked for help; short memory span; gave inappropriate and off-topic responses; had poor grammar and sentence structure; cooperative; immature; passive; follower; very limited attention span and easily distracted. 22. Mr. McGuire reported that Student was receiving a B in both English and Algebra 1. He endorsed the following statements: completes assignments but poorly; asked for help; few friends; inappropriate responses; poor grammar and sentence structure; immature vocabulary; cooperative; immature; average attention span; and cooperative (in reaction to authority). Mr. McGuire wrote that Student worked very hard and always finished his assignments. 23. Ms. Dominguez administered the UNIT to measure Student’s cognitive level. The UNIT is an individually administered intelligence test that does not require the use of oral communication in the presentation of instructions or in the provided responses. As a result it is considered to be free of biases that may be due to language acquisition issues, thus providing a valid measure of the child’s intellectual ability. It also provides evidence of a child’s fluid reasoning, visual spatial organization, memory, and analogical abilities. 24. The memory quotient score was based on the student’s ability to recall and recognize materials that had been visually presented to him. The task was very difficult for Student and he made errors related to proper sequencing in color. Overall, Student’s memory quotient was 76, which was in the delayed range. 25. Student’s reasoning quotient score was an indicator of his problem-solving abilities. This quotient consisted of Cube Design and Analogical Reasoning. These tasks required Student to find patterns, understand relationships, and use planning abilities. Student performed very well with the task of making complex geometric figures based on a picture. However, he struggled with the task requiring him to form analogies. His standard score of 97 was in the average range. 26. The symbolic quotient portion of UNIT concerned Student’s ability to solve problems that involved verbal mediation (or “talking” to oneself). Student was required to form analogies between pictures and re-create a sequence of figures presented to him. Though the test was nonverbal, it did require Student to use “language” skills (labeling, categorizing, etc.). Students scored 71, which was in the delayed range for this portion of the test. 27. The last area of the UNIT was the nonsymbolic quotient, which measured Student’s ability to solve problems involving material that was abstract and did not require as much inner-dialogue. Student’s nonsymbolic quotient was 103, which was in the average range. Nonsymbolic (non-language based) tasks appeared to be an area of strength for Student in relation to his ability. 28. Student’s overall performance on the UNIT was in the low average range. He obtained a full-scale IQ score of 85. Student displayed strengths in some areas of ability and weaknesses in others. A large discrepancy existed between Student’s subtest scaled scores. These very disparate scores produced statistical differences. Thus, his full scale IQ score was best interpreted as a forced average, as opposed to an accurate measure of his true overall ability. 29. Mother testified that the District and its personnel said that Student was mentally retarded. She stated that the District used this label of mental retardation to deny Student the opportunity to participate in general education classes. Ms. Dominguez testified, as affirmed by her report, that Student was not intellectually disabled. 30. Ms. Dominguez used four instruments in evaluating Student’s processing capabilities. The first was the CTOPP, which assessed Student’s phonological processing, a type of auditory processing, in three areas: phonological awareness, phonological memory, and rapid naming. 31. Phonological awareness is the awareness of, and access to, the sound structure of oral language. As measured by the CTOPP, Student’s phonological awareness was within the delayed range. Phonological memory is the ability to code information phonologically for temporary storage in working or short-term memory. Student’s phonological memory was within the delayed range. Rapid naming is the ability to efficiently retrieve phonological information from long-term or permanent memory and execute a sequence of operations quickly and repeatedly. Student’s rapid naming was within the very delayed range. Overall, the CTOPP demonstrated that Student had a weakness in auditory processing skills. 32. Ms. Dominguez administered the Beery VMI, Beery VMI-Visual, and the Beery VMI-Motor, which screened Student’s visual motor integration skills, visual perceptual skills, and fine motor skills. On the Berry VMI, Student obtained a score in the low range. The test involved copying a series of geometric forms. In order to complete the task, Student had to correctly visually interpret the images and utilize his fine motor skills to re-create the image. On the VMI–Motor, Student obtained an average score. Student also scored within the average range on the VMI–Visual. Based upon his VMI scores and writing samples, Student’s sensory motor skills were intact. 33. Ms. Dominguez administered the WJ-III, using 12 subtests. Student scored low in calculation, in the low range for applied problems, and in the low average for math fluency. In reading achievement, Student scored in the very low range for letter/word identification, passage comprehension, and reading fluency. He was also in the very low range for writing fluency, writing samples, and spelling. 34. Ms. Dominguez noted that the subtests produced a discrepancy score, which was computed by subtracting the academic subtests’ standard scores from Student’s full-scale IQ score of 85. She cautioned that the full-scale IQ score appeared to be a forced average and may not accurately represent Student’s overall ability. Yet, Student was displaying academic scores that were significantly lower than his composite IQ scores (the lowest being 71) and full-scale IQ score. Ms. Dominguez stated in her report, and testified at hearing, that Student had a significant discrepancy between ability and achievement. 35. Ms. Dominguez had Student’s teacher, Mr. McGuire, complete the Vineland-2 adaptive behavior scales. Adaptive behavior describes how a child functions in various settings, using various skills. Adaptive behavior includes communication skills, daily living skills, socialization skills, and motor skills. These combined areas gave an overview of how Student was functioning. 36. Student’s overall communication skills were rated to be within the low range, including receptive language, expressive language, and reading and writing skills. His overall daily living skills did not produce a standard score because Mr. Maguire had limited knowledge regarding Student’s personal and domestic skills. His community living skills were rated as low. His overall socialization skills were rated to be within the low range, including interpersonal relationships, play and leisure time, and coping skills. 37. Based on the Vineland-2, Student was displaying adaptive skills deficits in the school setting. He struggled with communication skills, developing and maintaining interpersonal relationships, engaging in age-appropriate leisure time activities, and utilizing coping skills. 38. Ms. Dominguez administered the GARS–2, which determines specific strengths and weaknesses for individual students, and may be useful in identifying problems, setting goals, and identifying targets for interventions. The GARS–2 was comprised of three subtests of 14 items each. Each subtest was comprised of items describing behaviors that were symptomatic of autism. 39. The first subtest was for stereotyped behaviors, which described Student’s stereotypical behavior, motility disorders, and other unique and strange behaviors. The second subtest in communications described the development of spoken language, speech patterns, level of communications, and interaction patterns. The third subtest for social interaction was comprised of items that looked at Student’s ability to interact with others socially, including signs of social reciprocity, and displayed nonverbal behaviors. 40. Mother was administered the GARS-2 through a Spanish translator. Mother’s ratings indicated that Student displayed autistic-like behaviors on all subscales. Mother’s overall autism Index of 111 for Student suggested the probability of autism. 41. Mr. McGuire’s ratings did not indicate signs of autism. Mr. Caffrey’s rating suggested the probability of autism. Ms. Moran’s ratings also indicated a possibility of autism. Ms. Dominguez concluded that Student was displaying some autistic-like behaviors in the school setting. 42. Ms. Dominguez administered the BASC-2 to Mother and three of Student’s teachers – Ms. Moran, Mr. McGuire, and Mr. Caffrey. The BASC-2 is a multi-question survey of various problems and school-related activities, as well as adaptive skills. Scores are rated as clinically significant, at-risk, or within the normal range. Any score in the clinically significant range would suggest a high likelihood of maladjustment. Scores in the at-risk range suggest there may be a significant problem that might not be severe enough to require formal treatment but may have the potential of developing into a severe problem. 43. Mother rated the following items as clinically significant: hyperactivity (impulsive, disruptive, and uncontrolled behaviors); atypicality (strange or odd behaviors, disconnected with surroundings); withdrawal (generally alone, difficulty making friends); and functional communication (expressive and receptive communication skills and difficulty seeking out information on his own). Mother rated the following areas as at-risk: anxiety (behaviors related to worry or fear); attention problems (difficulty maintaining attention); leadership (difficulty making decisions); and activities of daily living (difficulty performing daily tasks). 44. The teachers, individually or as a group, rated the following areas as clinically significant: attention problems (difficulty maintaining attention at school); learning problems (significant difficulties comprehending and completing schoolwork); functional communication; hyperactivity (high number of behaviors that adversely affect others in the classroom); and atypicality. The teachers’ scales resulted in composite scores for school problems and behavioral symptoms in the clinically significant range. The teachers, individually or as a group, also identified the following areas as at-risk: hyperactivity; atypicality; leadership; study skills (poorly organized, difficulty turning assignments in on time); conduct problems (rule breaking behaviors); depression (withdrawn, pessimistic); and learning problems (difficulty comprehending schoolwork). 45. Based on the results of the BASC-2, Ms. Dominguez found that Student displayed difficulties in communication, school, and learning, which included displaying atypical behaviors in the school setting. 46. Ms. Dominguez summarized her assessment findings and conclusions. Student was a polite young man who attempted to complete all of the test materials given to him. He had a history of significant medical concerns including possible genetic disorders, only one functioning kidney, and skin lesions. Though Student was not receiving medical follow-up related to suspected genetic disorders, Mother reported that such care was currently resuming. Medical records also revealed a diagnosis of both developmental delay and autism. 47. The observations, interviews with Mother and teachers, standardized cognitive and processing testing, standardized achievement test, and scales for social and emotional data suggested that Student met a number of eligibility criteria. Ms. Dominguez concluded that Student was a student with a SLD. His academic testing scores in basic reading, reading comprehension, and writing were well below his lowest quotient score of 71 and his forced average full-scale IQ of 85. Ms. Dominguez expressed the opinion that this amounted to a significant discrepancy between ability and achievement. 48. Ms. Dominguez also concluded that Student met the eligibility criteria as a student with autistic like behaviors. Student displayed an inability to use oral language for appropriate communication, had a history of extreme withdrawal, related to people inappropriately, and had continuing impairment in social interaction from infancy through early childhood. 49. Ms. Dominguez also concluded that Student met the eligibility criteria for OHI. Though an exact medical diagnosis had not yet been identified, Student’s medical records revealed significant health problems that limited his strength, vitality, and alertness and could adversely impact his educational performance. 50. Ms. Dominguez specifically found that Student did not meet the eligibility criteria as a student with an ID. Student’s non-verbal IQ testing revealed areas of average to above average ability. He displayed some adaptive skills deficits; however, these could be attributed to medical concerns or his diagnosis of autism and developmental delay. 51. Ms. Dominguez noted that the speech pathologist had confirmed Student continued to be eligible because of his speech and language impairment. Therefore, Student met multiple eligibility criteria for special education services, including speech and language impairment, specific learning disability, other health impairment, and autistic-like behaviors. Ms. Dominguez expressed the opinion that the primary disability be indicated as “multiple disabilities” on his IEP. 52. Ms. Dominguez’ psychoeducational assessment was appropriate, having met all federal and state requirements. 53. Ms. Dominguez observed Student in multiple settings, with careful data collection. Student displayed on task, adaptive behaviors the majority of the time while in the classroom setting. Student needed frequent redirection by his teachers, which was consistently provided in the SDC setting. He also received individualized support from each of his special education teachers. In Student’s general education PE class, Student followed directions and participated with the group. 54. Student had difficulties with communication and interacting appropriately with peers and adults. He was observed to benefit from clear directions given by teachers. In the SE setting, Student was receiving adequate support services through modified work and small class sizes, thus creating multiple opportunities for him to interact individually with his teachers. Ms. Dominguez concluded that Student benefitted from individualized support; however, such support was provided in his SDC. Ms. Dominguez found that Student would benefit from the support of a classroom aide in the general education setting to help Student stay on task, in his seat, and provide redirection and feedback on inappropriate behaviors or comments. 55. Ms. Dominguez recommended aide support in the general education setting. For his PE, Student would benefit from 10 to 15 minutes of support by an aide to remind Student of appropriate behaviors to utilize during his class through verbal prompts and visual aids. In other general education settings (such as elective classes), Student would benefit from aide support throughout the class period. Given his difficulties with social interactions, Student would also benefit from support by and aide or staff member, once weekly, during Student’s breaks or lunch to help facilitate appropriate social activities (such as finding a club to attend or participating in conversation with his peers). 56. District speech-language pathologist, Joanna Emerson, prepared a Speech and Language Assessment report dated November 4, 2010. Ms. Emerson worked for the District as a SAL pathologist since February 2009. She testified at the hearing. 57. Ms. Emerson received a bachelor of science in psychobiology from University of California, Los Angeles, in 1999, and a master’s in speech and language pathology from Purdue University in 2002. At all relevant times, she had a California license to practice as a speech-language pathologist. She also possessed a certificate of clinical competence in speech-language pathology from the American Speech Hearing Association and a clinical or rehabilitative service credential, which authorizes her to conduct SAL pathology in a California school setting. Ms. Emerson had extensive experience in assessing children with different or limited English proficiency, having performed at least 50 such assessments since 2001. 58. Ms. Emerson was charged with determining whether Student’s current primary eligibility of SAL impairment was appropriate, as well as to assess his needs and abilities. She reviewed records and summarized Student’s health and educational history. Ms. Emerson assessed Student across six sessions, each ranging from 45 to 60 minutes in length in October 2010. She also considered teachers’ reports. 59. Ms. Emerson employed the following assessment tools: AMBCO AB09934 Audiometer; the Apraxia Profile; Goldman Fristoe Test of Articulation, 2nd Edition (GFTA2); Expressive Vocabulary Test, 2nd Edition (EVT-2) (Form A); Peabody Picture Vocabulary Test, 4th Edition (PPVT-4) (Form B); Assessment of Children’s Language Comprehension (ACLC); Clinical Evaluation of Language Fundamentals–4 (CELF-4); Clinical Evaluation of Language Fundamentals–4, Spanish Edition (CELF-4, Spanish); Comprehensive Assessment of Spoken Language (CASL); and informal language assessment. 60. Using the audiometer, Ms. Emerson screened Student’s hearing; he passed. Informal observation of Student’s oral structures indicated they were adequate for functional speech. The GFTA-2 was administered and revealed that Student had a series of articulation errors, although some were consistent with native Spanish speakers. 61. The Apraxia Profile identified developmental verbal apraxia in Student. Student did not demonstrate any stutter-like behaviors and his vocal intensity and quality were age and gender appropriate. The PPVT-4 assessed Student’s receptive vocabulary, which was found to be in the below average range. The EVT-2 assessed Student’s expressive vocabulary at the single word level, which was also found to be below the average range. 62. The ACLC enabled Ms. Emerson to determine how many word classes in different combinations of length and complexity Student understood in Spanish. This was a receptive measure, which was evaluated with the CELF-4. The CELF-4 measured Student’s receptive and expressive language skills, in both English and Spanish. She administered selected subtests of the CASL, which measured the processes of comprehension, expression and retrieval in various categories. Ms. Emerson also clinically observed Student’s receptive and expressive language skills. 64. Ms. Emerson concluded that there was a significant discrepancy between Student’s cognitive skills and language skills. Both Spanish and English assessments indicated Student possessed a true speech and language disorder. According to her results, Ms. Emerson found that Student continue to qualify for speech and language services. She recommended oral repetition of information, encouragement for Student to repeat back instructions, continued speech and language services, and implementation of goals in the areas of receptive and expressive language, pragmatics, and speech intelligibility. 65. District Nurse, Kristina Smith, prepared a Triennial Health Assessment report, dated November 5, 2010. She testified at the hearing. Ms. Smith obtained her vocational nursing degree in 1981 from Glendale Community College and her registered nursing degree in 1982 from Glendale City College. She earned her bachelor of arts in English in 1997, from California State University, Fullerton, where she was also pursuing her master’s degree. In addition to her nursing licenses, at the time of hearing Ms. Smith held a current preliminary credential in school nursing. 66. Ms. Smith has been a District school nurse for four years. She worked as a licensed vocational nurse in 1981 at an orthopedic surgical unit. When she became a registered nurse in 1982, she worked a year as a charge nurse for a skilled nursing facility. She was a staff and supervising nurse at a medical group for the internal medicine section for six years, and then was with a private internal medicine practitioner for four years. 67. Ms. Smith interviewed Student, performed a physical assessment, conducted a record review, and updated Student’s health history by interviewing Mother via Spanish interpreter. The relevant portions of Student’s health and developmental history were summarized in the psychoeducational evaluation. Her interview of Student noted dental misalignment with large amounts of dental staining. Student said that he ate breakfast, lunch and dinner and went to bed between seven and eight PM, but was unable to indicate when he rises in the morning. He reported his quality of sleep as being good and that he felt well rested when he wakes up. Student was right-handed and participated in general PE class. 68. Student’s height was 5’6”, and weighed 191 pounds. Ms. Smith calculated Student’s body mass index (BMI) and concluded that Student might be at risk for health problems due to his weight. 69. Student wore prescription glasses. A vision screening indicated that Student’s acuity was not satisfactory with his corrective lenses. Ms. Smith noted that Student passed the hearing screening performed by Ms. Emerson. 70. On November 5, 2010, the District convened an IEP team meeting. Attending were: Mother; Spanish interpreter, Yolanda Rosales; Student’s case carrier, Mr. McGuire; Ms. Emerson; Ms. Dominguez; Ms. Smith; general education teacher, James Valenzuela; Viviana Dean, Regional Center of Orange County; and District administrator, Denise Alvarado. 71. The IEP team took a report from the PE teacher Mr. Valenzuela, who indicated that Student did very well in swimming but struggled somewhat with the physical fitness unit of the class. He stated that Student participated without prompting but, socially, Student was not on the same level as his peers. All of Student’s other classes were in the SE department. 72. The IEP team reviewed the previous IEP goals and objectives. Student met his goals in sight word reading and multiplication chart. He failed to meet the personal information goal and three of the four speech goals. They then focused on Student’s present levels of performance (PLOP’s). 73. Ms. Dean reported that the regional center had approved behavior services for Student. The program would be contacting Mother to arrange a schedule for the services to be provided in the home. The behavior services were to address safety awareness, tantrums, and self-injurious behavior. 74. Ms. Smith presented the health assessment. The team expressed concern that it did not have all of Student’s medical information and asked Mother to bring medical records to the school for the file. The IEP team also was concerned that Mother had not followed up with a recommended EEG. Mother did not want Student to be subjected to the test. Ms. Smith pointed to an elementary school nurse note regarding a possible heart murmur. Ms. Smith recommended that Mother follow up with a cardiologist. Finally, Ms. Smith explained to Mother that Student was significantly overweight and recommended his thyroid be checked. 75. The team reviewed the speech and language report, which found continued eligibility and recommended continuing services. Ms. Dominguez gave a review of her psychoeducational assessment, which included an evaluation for aide support. The team discussed District’s recommendation that aide support be provided to Student for classes outside of special education and, additionally, weekly 15-minute “check-in’s” for social interaction during breaks and lunch. Aide support was also recommended at 15 minutes a day in the general education PE class. Should Student take any general education course, such as an elective, aid support would be for the full period. Student was sufficiently supported with additional adult help in his SDC core classes, where he was receiving modified work and instruction. 76. The discussions were animated and Mother fully participated, with the services of the interpreter. The IEP team realized that it would be unable to finish the meeting within the allotted time and decided that it would reconvene on November 9, 2010. Mother requested that the assessments be in Spanish; the team said it would send the reports to the District for translation. 3 Mother struggled with the IEP’s multiple disability designation for eligibility, often accusing District personnel of putting “labels” on her son. She continued to assert the term included “mental retardation,” though District regularly assured her at meetings and IEP’s that the District did not believe Student was intellectually disabled. 4 The CAPA is given to students with significant cognitive disabilities whose disabilities prevent them from taking either the CST with accommodations or modifications or the California Modified Assessment with accommodations. Level V is for 9th through 11th graders in English language arts (ELA), math, and science. 78. The team recommended accommodations, enabling Student to access his curriculum. They included differentiated instruction, extended time on tests/quizzes/projects up to 100%, testing in an alternative location, use of tools during testing (i.e., dictionary, calculator, notes, etc. ), and clarification and repetition of directions. 79. The District team members recommended that Student not take the California Standards Tests (CST) but, instead, take the California Alternative Performance Assessment (CAPA) at Level V. 4 Mother expressed her concerns that Student becomes stressed during testing. Mother was assured that if Student became stressed, the test would be stopped. 80. The team drafted eight goals, with objectives, as follows: academics–written expression; academics–reading comprehension; academics–algebra and functions; life skills–functional academics; expressive language (speech)–written and oral language conventions; speech–intelligibility and speaking applications; speech–pragmatics and speaking applications; and speech–receptive language speaking applications. 81. Student had significant deficits in his academic skills, scoring very low in his reading, writing, and math skills. He had difficulties with communication, both expressive and receptive. Student displayed atypical behaviors in the school setting such as inappropriate social interactions, difficulties with peer instruction, and poor eye contact. He required frequent redirection to remain on task with his academic work. Therefore, the team concluded Student could not access his curriculum in a general education classroom. 82. Student would receive specialized academic instruction in all core curricular courses, five periods a day, in a SDC classroom. Student would continue to receive two 45minute sessions a week of speech and language therapy, in a group, delivered in a separate classroom. District would provide 15 minutes a day of aide support 5 in his general education PE class. An aide would also be provided 15 minutes a week, during lunch or break, to support Student in facilitating appropriate leisure activities and peer interactions. 83. The team also offered extended school year (ESY) for the summer of 2011 at the District’s Sonora High School and its community-based instruction (CBI) program. The CBI included community-based employment opportunities and life skills instruction. Mother said she was not interested in the ESY. She said that Student did not want to go to another school. Since Student was on a modified curriculum, the team also discussed the difference between a Certificate of Completion and a regular high school diploma. 84. Mother requested a copy of all reports. She asked that the IEP be translated into Spanish. Mother did not sign her consent to the IEP. 85. On September 8, 2011, the District convened an IEP team meeting, at Mother’s request. Attending were: Mother; Student; a Spanish interpreter; Student’s case carrier, Mr. Caffrey; Ms. Emerson; Ms. Dominguez; SHHS assistant principal, Sheron Fera; general education teacher, Preetha Mathen; school counselor, Cynthia S. Osborne; and District Director of Special Education, Gregory R. Endelman. 86. Mother requested the meeting because she wanted a one-on-one aide and claimed that this request was never addressed. Mother insisted that Student required a one-on-one aide in all of his classes. She wanted Student to have monthly goals that were more challenging. She was concerned that Student was not progressing and wanted him to be in general education classes for English, math, science, and all other core classes. She further said that there was no one with whom to talk. 87. Mr. Endelman explained that Mother could talk to Student’s case carrier or the assistant principal Ms. Fera, regarding Student. He reviewed all of Student’s services, including the November 2010 IEP’s offer to have a full-time aide for Student in his general education elective classes. However, the District was unable to implement the November 2010 IEP offer because Mother did not give permission to implement the IEP. Therefore, Student’s placement and services continued in accordance with his prior, agreed-upon, implemented IEP. Student was receiving speech and language therapy, twice a week, for 45 minutes. He was receiving 15 minutes of support a week in unstructured time (lunch and breaks) and 15 minutes a day in his general education PE class. 88. Mother claimed that Student was very smart but, without an aide, he could not focus. Mother claimed that, with an aide, Student could attend general education classes. Student was present and Mother had him read in Spanish to the IEP team, so they could see how smart he was. She then dismissed Student from the meeting. She wanted goals that would assure that Student would progress one grade level in performance every month. 89. Mr. Endelman and Ms. Dominguez reviewed the results of Student’s cognitive and academic testing. They again explained why Student required special academic instruction and that he would fail in an academic, general education class. However, Mother said, consistent with her testimony at hearing, that she disagreed with the testing and believed the District was putting labels on Student so it could keep him out of general education classes. She said that her son had autism and that should be his eligibility. Instead, she said the District identified Student as mentally retarded. 90. Mr. Edelman testified at the hearing. He has been the District’s Director of Special Education for six years. Previously, he was employed by the Orange County Department of Education as a Special Education Local Plan Area Coordinator. He has been a school principal, a lead school psychologist, and a school psychologist. He has two master’s degrees: one in counseling with an emphasis in school counseling, and one in educational psychology with an emphasis in school psychology. He was completing his doctorate in education from Chapman University. He holds three pupil personnel services credentials in child welfare and attendance, school counseling, and school psychology, as well as having his Tier 1 and Tier 2 administrative credentials. He is licensed in California as an educational psychologist. In addition to his public employment, Mr. Endelman has maintained a private practice in which he consults with other school districts, assesses students, and provides behavior intervention case manager training to other educators. Mr. Endelman has extensive experience with special education students. He is highly qualified as both an educator and a school psychologist. 91. His testimony evidenced a strong dedication to his work and, significantly, extensive knowledge and concern regarding Student’s educational needs. He demonstrated patient and sincere efforts to communicate with Mother, in about 10 personal meetings and during three IEP meetings, in response to her assertions and accusations that the District had labeled Student intellectually disabled and that District was improperly keeping Student from participating in general education for his core classes. 92. The IEP team members were primarily responding to Mother’s assertions throughout the meeting. Mother called the prior IEP garbage, complaining about both the District’s and prior districts’ assessments. The IEP notes and Mr. Edelman’s testimony persuasively demonstrated that Mother was rude and uncooperative, with regular displays of anger. Though team members patiently answered her questions, she continued to assert the same charges as if she did not hear what was said. 93. Mother said she did not want any more testing. Generally, she wanted her demands met. Mr. Edelman again reviewed the November 2010 offer and explained Mother’s procedural rights. He said that she could allow implementation of the services, including full-time aide support in Student’s elective general education classes, while continuing to disagree with the IEP. She also had the option of proceeding in a due process hearing. Mother was provided a copy of her procedural rights in writing. 94. Mother asked about tutoring. She was told that math tutoring is offered on Tuesday and Thursday after school and that she would receive a schedule after it was developed. Mother demanded information regarding the SHHS’ Advancement Via Individual Determination (AVID) program. Ms. Fera responded to Mother’s request, noting that it required an application and a formal interview for admission. 95. The IEP meeting concluded. Mother did not sign her consent or otherwise give permission to implement the services offered in the November 9, 2010 IEP. 96. Ms. Fera testified at the hearing. She was the assistant principal at SHHS from July 1, 2011 to June 30, 2012, and was responsible for overseeing the guidance department, the SE department, and all testing. She started as the assistant principal of Instruction and Operations at Buena Park High School, on July 1, 2012, where her responsibilities include the master schedule, budget and facilities. 97. Ms. Fera received her bachelor of arts in 1979 from Occidental College and her clear credential in teaching in 1980. In September of 1980, she began teaching at Bonita Unified School District. She taught elementary school for 13 years, middle school for five years, and high school for two years. She received a master of arts in education from Azusa Pacific University in 1991. In 2001, she obtained a pupil personnel service credential in counseling. Ms. Fera worked at the West Covina Unified School District as dean of students for one year and then as a school counselor for seven years. She obtained her administration credential in 2009. In August of 2009, she became assistant principal of pupil services at Claremont High School, where she remained until moving to District. 98. Ms. Fera said that AVID was an in-school academic honors support program for grades 9 through 12 that prepared students for college eligibility. Following the IEP meeting, Ms. Fera had the AVID coordinator, Lori Larsen, contact Mother, with an interpreter, to further explain the program and procedures for admission. Student submitted the application and Student was interviewed in December 2011. In the interview, Student said he did not want to go to college. Also, Student’s attendance and coursework were not consistent with a student on track to go to a four-year university. As a result, Student did not qualify for AVID, which Ms. Larson explained in a December 7, 2011 letter to Student. 99. On September 22, 2011, the District convened an IEP meeting at Mother’s request for the sole purpose of reviewing the prior assessments, reports, and November 9, 2010 IEP with Mother. Attending were Mother; Ms. Rosales; Student’s case carrier, Ms. Dominguez; and Ms. Fera. Though the meeting was memorialized as an IEP meeting, the purpose was to afford Mother an opportunity to review the various assessments, having received the Spanish translation of all documents. Mother wanted the school psychologist to further explain the assessments. 100. Ms. Dominguez’ psychoeducational assessment included an individual aide assessment. Her recommendation was that Student did not require one-on-one aide support in his SDC classes but, instead, would benefit from aide support in his general education electives, as well as moderate aide support in his physical education class and during free time for lunch or break. Mother disagreed, saying Student required a one-on-one aide in all his classes. 101. Mother then demanded further testing to know grade level performance and further information about Student’s autism. Ms. Dominguez explained that the prior testing already measured Student’s performance level in all core academics. Further, the assessment affirmed that Student was eligible because of his autism. 102. Mother again asserted that the District was claiming that Student was mentally retarded in order to keep him in SDC classes. Mother was told that his eligibility classification under his current IEP was multiple disabilities, not mental retardation. They explained to Mother that the District did not believe that Student was intellectually disabled. Ms. Dominguez told Mother that the Student’s annual IEP was scheduled later in the year. Before the meeting, the District would update evaluations and assessments so the IEP team was aware of Student’s levels of performance and needs. 103. Mr. Fera and Ms. Dominguez reminded Mother that Student was not receiving aide support in his two general education elective classes, as recommended by the November 2010 IEP. They showed Mother how she could sign the November 2010 IEP for the sole purpose of allowing implementation of the additional aide support in the general education electives, while still indicating that she disagreed with the remainder of the IEP offer. Mother did so and District was permitted to provide aides for Student in his elective classes. 104. Student was enrolled in two general education elective classes his 10th grade, the 2011-12 academic year –Three-Dimensional Design (3-D Design) and Introduction to Engineering (Intro Engineering). He took general education PE; and his core academic classes remained SDC’s. Student did not have dedicated aide support in his electives until Mother signed the November 2010 IEP, permitting District to implement. 105. Lori Peterson was Student’s general education PE teacher for the first semester of 2011-2012 as well as both semesters of 2010-2011. She had been a PE teacher for 16 years, all as an employee of the District. She testified at the hearing. 106. Ms. Peterson received her associate of arts degree from Cerritos College in 1994 and her bachelor of science from California State University, Fullerton, in 1996. She acquired a master of arts in education from Azusa Pacific University in 2000. She holds a clear credential in secondary physical education, which she obtained in 1997. 107. Ms. Peterson’s PE class typically started with the kids getting dressed. They would then sit down on their respective numbers while she took role. She would outline the day’s activities, which the pupils would begin following warm-up stretching. In the spring semester of 2011–2012, there was an aide for three SE students. The aide would stand near his students, assist them with understanding the activities, and encourage them to fully participate. The aide was very encouraging to Student, providing positive feedback and reinforcement. However, Student did not require much redirection; maybe once or twice a week. Student generally followed Ms. Peterson’s directions. 108. Ms. Peterson described Student as friendly, easy-going, cooperative, and eager. He was a pleasant person to be around. This was true for all three semesters he was in her PE class. He participated in the sports activities by giving his best effort. She observed him cooperate with the other pupils in whatever activity she assigned. If Student needed clarification, he would ask her. 109. Student never exhibited any bad behavior. Ms. Peterson could not recall telling Student, as Mother testified, to ignore kids that were bothering him. Ms. Peterson never saw anyone bother, harass, or bully Student. She also did not hear from any other source that Student had been bothered, harassed, or bullied. 110. Ms. Peterson testified that she, and other teachers, had a protocol for addressing allegations of bullying. If a pupil tells her that other kids are bothering him or her, she would make further inquiries by talking to the other students alone or in a group, determining who was involved and what was said. She would then decide a proper response, which she would implement. Reports of bullying or mistreatment were not ignored. 111. Samuel Carrillo was the aide for special needs pupils in Student’s general education PE class. Mr. Carrillo testified at hearing. He had been a District educational assistant for 14 years. He graduated from Fullerton Union High School and attended Fullerton Community College. He was trained by District, taking classes and participating in training on “in service” days. 112. Mr. Carrillo first worked with Student in 2011-2012. Though Mr. Carrillo would help Student in the PE class, he was not exclusively assigned to Student. Student fully participated in the PE sports and athletic activities. Mr. Carrillo assisted Student only when he needed help, throughout the academic year. 113. Linda Ambrosius was assigned to be Student’s instructional aide in his 3-D Design and Intro Engineering general education elective classes. She also worked with Student in the 2010-2011 academic year, when he started at SHHS as a freshman, but she was not his dedicated aide. She had been a District instructional aide for 13 years. She graduated from high school and took courses from the District and the Orange County Department of Education on working with autistic and learning disabled children, enabling her to be a member of the special education department. She testified at the hearing. 114. Ms. Ambrosius generally described Student as a charming boy who sometimes had a hard time understanding his classwork. She said that Student liked engaging with his general education peers but that Student’s conversations were not age appropriate. Her testimony demonstrated a caring and deep understanding of Student. She appeared to genuinely enjoy and admire him. 115. As a high school freshman, Student attended a class in which Ms. Ambrosius was an aide. She was not assigned to Student, but she observed that he would become distracted and off task, often standing up and wandering about the classroom. However, he quickly complied with redirection and would return to his seat when asked. She did not observe any other behavioral issues. 116. As his assigned instructional aide, she was not responsible for any pupil other than Student in the two elective classes. She would assist Student when he asked. However, the goal was to encourage Student to ask the teacher for clarification. As the year progressed, Student steadily improved at seeking the teacher’s help. 117. Student was always engaged in the 3-D Design class and its creative projects. The teacher, Preetha Mathen, would explain each project, putting instructions up on a screen. Ms. Ambrosius helped by assisting Student in understanding the project steps. She did not assist Student in making a project. 118. Ms. Mathen worked for the District as a general education, visual arts teacher for seven years. She testified at the hearing. She received her bachelor of arts from University of Wisconsin, Madison, in 2000. In 2006, she earned her clear single subject teaching credential for visual arts from California State University, Fullerton. 119. Student attended Ms. Mathen’s 3-D Design class for both semesters of the 2011-2012 school year. The 3-D Design class was after lunch and Student always arrived early, to visit with Ms. Mathen and his classmates. 120. The class consisted of making projects in different art media. The class did five major projects each semester. Student enjoyed the hands-on portion of his work. He struggled with craftsmanship and neatness. Ms. Mathen was acquainted with Student’s IEP and did not expect the projects to be beautiful. Student demonstrated great effort, devoting himself to each project. 121. On occasion, Ms. Mathen would modify a project’s criteria for Student. For example, a paper mache bowl project required three different patterns on the outside; for Student, she required only two patterns. She also modified the timeline on the projects, especially when complex, sometimes allowing him to work on a project outside the classroom. 122. The 3-D Design class did not require much writing or reading. With new media projects, there was some vocabulary. Pupils would sketch project plans, which involved some writing. Ms. Mason had difficulty reading Student’s writing and, as a consequence, usually figured out his plans by his drawing. Though Ms. Mathen would have difficulty reading Student’s end-of-project critiques, she would give him as much credit as possible. The 3-D Design grading was based on creativity, effort, craftsmanship, project criteria and timeliness. Ms. Mathen focused on his effort when grading Student. He earned a B grade in both semesters. 123. Ms. Mathen never observed anyone mistreat, harass, or bully Student. She did not hear of any reports of Student being mistreated or bullied. Student never told her he was being bothered by anyone. She did not see any change in demeanor or emotion in spring 2012. When referring to Student, Ms. Mathen exhibited genuine care and understanding. 124. Ms. Ambrosius knowledgeably and persuasively testified that Student struggled in his other elective, Intro Engineering, which taught design and programing on the computer. Pupils were required to write down each computer assignment’s rules and instructions, which the teacher posted on the classroom board. This was difficult for Student, who would take a long time and often could not finish; Ms. Ambrosius would complete copying the assignment. Ms. Ambrosius observed that Student’s handwriting was like that of an elementary student, not very legible and often lacking content. Intro Engineering did not otherwise require much reading or writing. The teacher would lecture while students were on the computer or working on a project. There were no handouts. 125. Student had a hard time grasping engineering concepts and, when he became bored, Student got up and wandered about the classroom. In these situations, Ms. Ambrosius approached Student and redirected him back to his work; he always complied and would return to his seat. The general education teacher was also very helpful in redirecting Student. 126. Ms. Moran was Student’s SDC English teacher. She had been a District SE teacher of students with mild to moderate learning disabilities for 11 years, as well as a behavior intervention case manager for the previous eight years. Student was in her class since ninth grade. She testified at hearing. 127. Ms. Moran obtained her bachelor’s degree in psychology in 1985 from the University of Missouri. In 1988, she earned a master’s from University of Kansas in human development and applied behavior analysis (ABA). She holds a teaching credential from University of California, Long Beach, in special education, moderate to severe. In 2004, she completed the two-year training program for Systematic Utilization of Comprehensive Strategies for Ensuring Student Success (SUCSESS), for assessment and intervention for children with autism, from the Orange County Department of Education (OCDOE). Ms. Moran earned a behavior intervention case management certificate in 2005. 128. Before coming to District, Ms. Moran worked as a special education prekindergarten teacher for moderate to severe students in Long Beach Unified School District for two years. Previously, she did medical transcription for a couple of years when her children were young and worked for two years as a mental health case worker with severely and persistently mentally ill adults at Orange County Mental Health. She also worked three and a half years as a counselor and program manager for the Help Group in Sherman Oaks, California. 129. Ms. Moran stated that the SDC English class was modeled on the general education curriculum, but was modified and adapted for SE students. The SDC difficulty level was lower and the reading material was selected to appeal to the students’ preferences, thereby helping to retain their interest. Examples of modifications were increased repetition, fewer vocabulary words, use of PowerPoint projection and, sometimes, use of videos in conjunction with the books during class reading. The students would then compare the movie with the book upon which it was based. 130. A typical English class starts with a time for quiet reading or daily journal work. Then, the class moves to vocabulary study, followed by novel study, where Ms. Moran reads out loud and the children follow along. The class is divided into approximately three 20-minute sessions. 131. Ms. Moran’s grading criteria for her SDC English class included five elements –participation, class work, journal, tests and quizzes, and writing. For essays, the students were at different levels. For Student, she would have him write a rough draft. Then Ms. Moran would sit with Student at a computer and have Student further describe what he intended to write or say. She would have Student take quizzes without assistance. Then, if he did not do well, Ms. Moran would read the test items out loud to Student and have him retake the quiz. 132. In 2011-2012, Student’s reading ability was at a first or second grade level. When Student listened, his comprehension was better than when he read to himself. His writing ability was around a first grade level and he had difficulty with basic sentence structure. His handwriting was legible but Student had problems with letter formation and neatness. He required regular prompting, since he would become off task and socialize with peers. He responded to verbal redirection. His class participation was sporadic. If Student was interested in the subject, he would be more likely to participate. When the class was discussing Student’s non-preferred topics, he could become distracted, requiring prompting. 133. Ms. Moran described Student as moderately autistic. With substantial repetition, he could retain information. She described him as a very friendly, sweet and nice boy. Ms. Moran demonstrated care for Student’s well-being, as well as a professional’s knowledge of his capabilities and performance. Student never complained to Ms. Moran about being bothered or bullied by another student. 134. Student was in Mr. Mcguire’s SDC Algebra and Science classes. Mr. McGuire has been a District SE teacher of students with mild to moderate learning disabilities for 17 years. Student has been in his SDC’s since ninth grade. He testified at the hearing. 135. Mr. McGuire received his associate of arts degree from Fullerton Junior College in 1990. In 1995, he obtained a bachelor of science in kinesiology and health promotion from California State University, Fullerton, from which he also earned his special education teaching credential for mild to moderate disabilities in 1997. He holds a certificate in cross cultural language and development (CLAD), attesting to his qualifications to teach children with multi-cultural backgrounds and who speak various languages. 136. Mr. McGuire described Student as positive, with a happy demeanor in class. Student generally struggled with reading. As a consequence, Science has been more challenging and Student’s performance has not been as high as in Algebra. The Science class studied one subject for a whole period. Student eagerly participated in reading activities, but he had a low skill set in fluency and comprehension. Mr. McGuire assisted by using pre-reading strategies, like first looking at the questions, mentally outlining the reading material, looking at bold headings, and using pictures. These strategies increased Student’s comprehension and fluency. 137. Both the Science and Algebra classes utilized modified curricula of state standards, with accommodations. In Algebra, Student was at about a fourth grade level. Since Algebra is a high school class, students should know basic addition, subtraction, and multiplying. However, if not, he would allow the use of calculators because the goal of the class was to work on algebraic concepts. If Student performed most of an algebraic operation correctly, Mr. McGuire gave Student partial credit. He would also reduce the number of questions on an assignment. The goal was to provide Student opportunity to access curriculum, not overload him. 138. Mr. McGuire employed similar strategies in Science. He would modify tests to make them accessible by reducing the number of choices for fill-in-the-blank answers. Since the Science curriculum was so highly modified for Student, it was difficult to estimate his grade level performance. 139. On Algebra quizzes and tests, Student did better if the questions were similar in nature. For example, he would do better on a chapter quiz or test because there was only one concept involved while unit tests involved more theories. On Science quizzes and tests, Student was much more challenged because of the reading component. Typically, out of 25 points on a quiz, Student would score 9 to 15. Student’s grade was determined by attitude, effort, behavior, being active, on time, and cooperative. About 20 percent of Student’s grade in Algebra or Science was based upon tests and quizzes. 140. Mr. McGuire recalled Student coming to him and saying some other kids were bothering him. He did not recall when this was. He spoke to the other pupils. He remembered that some students would react if Student unexpectedly passed gas in class. He was unaware of any other incidents. When a student complained of being bothered or harassed, he would employ a protocol. He would obtain further information, talk to the involved students, and assess whether additional intervention was necessary, such as sending a pupil to the front office or talking to the parents. Student never reported being bullied. Student always demonstrated good behavior, tried hard, and did his work. 141. Mother testified that she wanted Student to have homework so she could know how he was performing and had delivered letters to the school offices asking for more homework. Mr. McGuire was unaware of Mother’s request. He did not give homework because of the remedial nature of his SDC class. If Student had an unfinished class assignment, he could take it home. Student, though, always completed his work. Reading at home would be a positive reinforcement. However, Mr. Maguire persuasively testified that homework would be difficult to assign because of the highly modified nature of the curriculum. If Mother wished to find out how Student was performing, she could talk to him directly or access Student’s performance on the school’s available database. Also, the school sends home regular progress reports and report cards. 6 Ms. Emerson made these recommendations to the IEP team at IEP team meetings in May and June of 2012. The District IEP team members included the change in the offer of services at that time, but she was never able to implement it because Mother never consented to the IEP. 143. Mother told school personnel and testified that she paid a private tutor who was able to get Student to learn at a level that exceeded his school performance. Beginning in September 2011, Jeffrey Perez privately tutored Student two to three hours a school day at Student’s home, usually between 4:00 p.m. and 7:00 p.m. Student’s Mother was present, but was not involved. Mr. Perez’ mother and Student’s Mother were friends. They thought that he might be able to assist Student with his reading since Mr. Perez was a very good student. 145. During tutoring, Mr. Perez and Student faced each other, both having the same book. Mr. Perez would use an accelerated reading program. Student did best in comprehension and vocabulary when he was interested in the book’s subject. They would take turns reading through sections of the book together. Mr. Perez would make vocabulary lists of words that Student struggled pronouncing or understanding. He would then have Student go over the vocabulary words, saying them out loud while reading from the book. 146. Mr. Perez said he thought Student was reading at the high school freshman level. However, he admitted not having any basis for his opinion. His description of the tutoring sessions, and Student’s performance, do not support his evaluation. 147. Mr. Perez also worked with Student on his multiplication tables. Student had difficulty with nines and sixes. He did not work on division or use a math curriculum. Mr. Perez acknowledged that Student’s multiplication skills were on the elementary level. Mr. Perez never assisted Student with homework because Student did not have homework. 148. Mr. Perez appeared to care about Student, stating that he was also Student’s friend. Besides tutoring, Mr. Perez would “work out” with Student two or three times a week for a half hour. Since September 2011, the biggest change in Student was social. Initially, Student was timid and quiet. At the time of hearing, Mr. Perez testified Student was more social, able to express himself with others, and participated in friendship groups. 7 At the time of the request, Mother was represented by counsel. 8 For the sake of clarity, the doctors suggested using their first names. The convention is similarly used in the decision when needed. 149. The District agreed to Mother’s request for an independent educational evaluation (IEE) 7 by Dr. Pedro Olvera, Psy.D. (Dr. Pedro) and Dr. Veronica I. Olvera, Psy.D. (Dr. Veronica). 8 Dr. Veronica is a Clinical Psychologist and Neuropsychologist and Dr. Pedro is a Licensed Educational Psychologist. Both are bilingual. In 2010, the husband and wife team established the Neuro-Educational Clinic, focusing on serving the Spanishspeaking community. Together, they assess a student, using both of their disciplines to produce a neuro-educational evaluation with findings and recommendations. Both Dr. Pedro and Dr. Veronica testified at the hearing. Though chosen by Mother to conduct the IEE, the District called Drs. Olvera to testify regarding Student’s eligibility, placement, and services. 150. Dr. Pedro is a published and licensed educational psychologist. Dr. Pedro received his bachelor’s degree in social science and history in 1999 from San Diego Christian College, his master’s degree in education in 2003 from Azusa Pacific University (Azusa), and his doctorate in educational psychology in 2004 from Alliant International University. He holds a professional clear pupil personnel services credential. Since 2007, he has taught courses at Azusa in the areas of school psychology and school counseling. Specifically, he taught classes in multicultural and bilingual assessment and intervention, psychoeducational assessment, child and adolescent development and learning, positive behavior supports, classroom intervention, and in school psychology fieldwork. He has also served on committees at Azusa since 2008 in the areas of assessment, accountability, accreditation, and other school psychology programs. He has also served as a reviewer on a State of California manual entitled Referral & Identification of English Learners Suspected of Having a Disability, as an editorial board advisory member for the California School of Psychologists, and as a member of the research committee for the Goldman Research Award. Dr. Pedro has also served on dissertation committees, and has made numerous presentations on subjects such as assessments and school psychology. 151. When doing a neuro-educational evaluation, he handles the psychoeducational component of a case, and Dr. Veronica handles the clinical component. He also conducts independent educational evaluations (IEE), as well as autism assessments. He was also employed at the Pediatric Neurodevelopment Institute at Azusa Pacific University from 2007 through 2009, where he served as supervising faculty to doctoral students conducting psychoeducational evaluations of Latino bilingual children, as well as bilingual autism assessments. He served as a school psychology consultant for the Santa Ana Unified School District (SAUSD) from 2002 through 2010, where he specialized in bilingual and monolingual psychoeducational assessments, behavior intervention, and autism assessments and where he also supervised interns and practicum students. From 1999 to 2000, he worked at Concept 7 Family and Support Treatment Centers as a certification social worker, where he worked with individuals who wanted to be social workers. Prior to going into private practice with Dr. Veronica, Dr. Pedro had a private practice with Dr. Mary Jo Lang from 2008-2009, where he conducted assessments. 152. During the course of his career, Dr. Pedro has conducted approximately 850 assessments, and has participated in approximately 800 IEP meetings. He has also conducted IEE’s for approximately 15 school districts. 153. Dr. Veronica is a published and licensed clinical psychologist. Dr. Veronica received her bachelor’s degree from University of California of Irvine (UCI), in 2000 where she majored in psychology and social behavior, as well as criminology. She received her master’s degree and doctorate from Azusa in 2003 and 2006, respectively, in clinical psychology with an emphasis in family psychology. She also completed a pre-doctoral internship in correctional/forensic psychology in 2006 and a post-doctoral fellowship in clinical neuropsychology in 2007. 154. In addition to her private practice with Dr. Pedro at the Neuro-Educational Clinic, Dr. Veronica served as a staff psychologist at Executive Mental Health, Inc., from 2010 to 2012, where she conducted comprehensive neuropsychological evaluations for adults and geriatric populations, and assisted in private forensic neuropsychological evaluations in medical facilities as part of a multidisciplinary team. Prior, she was a neuropsychological assistant at Ari Kalechstein, Ph.D., and Associates, where she assisted in private forensic neuropsychological evaluations. She was also a neuropsychology consultant for the Pediatric Neurodevelopmental Institute, where she served as a consultant to students conducting neuropsychological evaluations of children and adolescents in Azusa’s pediatric clinic. From 2002 to 2007, Dr. Veronica completed practicum work, internships, and a post-doctorate fellowship in neuropsychology, forensic psychology, and counseling psychology. Dr. Veronica also served as a faculty assistant professor, an adjunct professor, a teaching assistant, a peer tutor, and a research assistant at Azusa. 155. Since 2002, she has conducted more than 700 neuropsychological assessments, of which 35 to 40 percent were of children. In her private practice at the Neuro-Educational Clinic, she works with parents, advocates, and children, and reviews psychological and medical records. She attends IEPs with Dr. Pedro. Dr. Veronica presents the neuropsychological findings of a neuro-educational assessment and Dr. Pedro presents his psychoeducational findings. In her capacity as a neuropsychologist, she makes diagnoses that, she explained, could be helpful in looking at a child’s emotional state, particularly in the areas of autism, ADHD, and depression. 9 If a standardized questionnaire was not available in Spanish, Drs. Olvera used a Spanish translation. 156. Dr. Pedro and Dr. Veronica conducted their tests, observations, and interviews in February and March, 2012. Their 61-page Comprehensive Neuro-Educational Evaluation of Student is dated April 20, 2012. For Student, they used the following assessment instruments: Kaufman Assessment Battery for Children, Second Edition (KABC-II); the WJ-III Tests of Achievement (WJ-III ACH); the WJ-III Tests of Cognitive Abilities (WJ-III COG); Developmental Neuropsychological Assessment, 2nd Edition (NEPSY-II); Wisconsin Card Sorting Test (WCST); Grooved Pegboard Test (GP); Student interview; and school observation. Mother was given the BASC-2 Structured Developmental History (Spanish); BASC-2 Parent Form (Spanish); Behavior Rating Inventory of Executive Function (BRIEF); Social Communication Questionnaire (SCQ) Current and Lifetime Forms; Gilliam Autism Rating Scale-Second Edition (GARS-2); and a clinical interview. 9 For the teachers, they used the following instruments: WJ Teacher’s Checklist; BASC-2 Teacher Form; BRIEF Teacher Form; GARS-2; SCQ Current Form; and a Student Information Sheet of their own design. 157. The IEE report generally confirmed the cognitive, achievement, socialemotional, and eligibility findings of Ms. Dominguez’ November 2010 psychoeducational assessment. Student’s cognitive ability was assessed using the KABC-II, measuring both verbal and nonverbal skills. Dr. Pedro concluded that Student’ optimal cognitive abilities were at the low average range. On the WJ-III, Student demonstrated significant limitation (in the well below average range) in reading, math, writing, and language. Dr. Pedro concluded that Student’s academic skills were significantly limited. 158. Consistent with Ms. Dominguez’ conclusions, Dr. Pedro and Dr. Veronica found Student to meet multiple eligibility criteria. The report confirmed eligibility for autistic-like behaviors, SLI, and SLD. The report did not address if Student was eligible under the OHI category because no medical records were available for review. 159. Mother stated that Student had Asperger’s syndrome. Dr. Veronica used the Diagnostic and Statistical Manual of Mental Disorders, 4th Edition, Text Revision (DSM-IV-TR), the autism spectrum disorder rating scales, information from Mother’s clinical interview, and review of records. She concluded that Student did not meet the criteria for Asperger’s syndrome. 160. On Monday, May 21, 2012, Mother came into the SHHS offices with a letter, in Spanish. Ms. Fera and Ms. Gomez were present. They took the letter to assistant principal, Kimberly Corbin to translate. Ms. Corbin said the letter from Mother raised serious concerns that Student was going to harm himself. Mother had left the office. Ms. Fera asked Ms. Corbin to contact Mother on her cell phone. Ms. Corbin, speaking Spanish, asked Mother about the letter, saying that Ms. Fera was concerned. Ms. Fera and Ms. Corbin asked Mother if Student was safe. Mother said that he was and that they were, at that time, on the streets of Santa Ana but would be home in about 30 minutes. Ms. Fera asked, through Ms. Corbin, if Mother wanted the police to come and evaluate Student. Mother said she did. 10 Welfare and Institutions Code, Section 5150, allows a qualified officer or clinician to involuntarily confine a person deemed to have a mental disorder that makes them a danger to him or herself, and/or others and/or is gravely disabled, for up to 72 hours for evaluation. Here, the hospital determined that Student was not a danger to himself or others. 11 Though Mother testified about this alleged theft, there is no evidence that Mother or Student ever reported the theft. Also, during her questioning of another witness, Mother made a passing reference to picking up the phone at the school office, which would imply that the phone may not have been stolen, but lost and found. 162. Mother testified that Student was depressed and that she discovered that Student had told another person that he was planning on taking his own life. She said that she wrote a letter and left it at the office in the morning, not the afternoon. In her version of the incident, the letter was there all day and no one did anything. However, Mother did not explain why she would just drop off a letter regarding her son’s safety, then leave, and wait all day for a response. Mother was not persuasive in this regard. Ms. Fera’s testimony was more credible regarding receipt of the letter. 163. On May 22, 2012, the District convened an IEP team meeting, at Mother’s request. Attending were: Mother; Student; SHHS guidance tech, Jenny Gomez, who acted as the interpreter; Mother’s friend; Student’s case carrier, Ana Lee; Ms. Emerson; Ms. Peterson; Ms. Dominguez; Ms. Fera; Ms. Singh; Mr. Endelman; and Dr. Pedro. 164. The purpose of the meeting was to review the IEE that Mother requested. Dr. Pedro addressed the team in Spanish, which was translated in English. Dr. Pedro reviewed his observations of Student and the results of the standardized tests and questionnaires. He asked if Mother had any questions, which Dr. Pedro attempted to answer. 165. Mother talked about how, a year and a half before, some students stole Student’s PSP game console and his cellular phone.11 Student became so depressed that Mother took a letter to the school the day before expressing concerns about bullying. Student was taken to the hospital where he was evaluated. Mother claimed that the hospital evaluation was completely different than Dr. Pedro’s assessment. Though Student was present at the IEP, Ms. Fera testified that Student did not say anything about the bullying or the alleged theft. 166. The IEP team asked Mother for access to Student’s medical records so the IEP team could coordinate with Student’s doctors. Mother did not sign a release of records, but said that she would provide one in the future. Mr. Fera testified that Mother did not thereafter provide a release and the District did not have access to Student’s medical records or doctors. 167. Dr. Pedro summarized his findings regarding Student’s cognitive abilities and how Student thinks and learns. In response, Mother said that Student did not perform well on the test because he did not receive speech and language services when he was young. Mother further claimed that Student was tagged by the school system as having mental retardation as his disability. Mr. Endelman clarified to the IEP team that Student did not have an intellectual disability. Mother was shown Student’s eligibility page, which listed multiple disabilities. Mother’s friend told the IEP team that Mother believed that “multiple disabilities” meant mental retardation. Ms. Dominguez explained to the team that “multiple disabilities” for Student included SLI, SLD, autistic-like behaviors, and OHI. Student’s primary disability would be autistic-like behaviors with secondary eligibility criteria for SLD and SLI. The IEP notes indicate that Mother was in agreement. 168. Mother stated that she wanted Student out of all special education classes and put into general education classes with a one-on-one aide. Dr. Pedro attempted to explain to Mother that Student had difficulty with maintaining attention for a long time. 169. At this time, Mother asked that Student be dismissed from the IEP team meeting. Student returned to class. 12 This letter was marked as Student’s Exhibit 1, and admitted into evidence. This is the only documentary evidence submitted and admitted on behalf of Student. 170. Mother testified that she had provided the District with a copy of an April 24, 2012, letter from Student’s neurologist at Children’s Hospital of Orange County (CHOC). 12 The doctor said that Student had been diagnosed with high functioning Asperger’s, a form of autism. This letter was considered by the team, which agreed with the diagnosis of autism. However, Dr. Veronica had concluded that Student did not have Asperger’s. 171. The meeting concluded with an understanding that a continuation meeting would be scheduled in the near future. 172. After the IEP meeting, Ms. Fera approached Mother, seeking any details regarding the alleged bullying. She told Mother that she would like to investigate and required names and description of events. Mother did not provide any names or other details. When Ms. Fera asked if she could interview Student regarding the alleged events, Mother refused, saying that she did not want Ms. Fera talking to Student. Thereafter, Mother did not permit anyone to talk to Student regarding the alleged bullying and thefts. 173. Shortly thereafter, Ms. Fera met with the school psychologist Ms. Dominguez and Student’s case carrier Ana Lee, to develop a plan to assist Student with any issues with other students, especially the allegation of bullying. However, none of the three had ever seen Student bullied. There were no reports of bullying. Since Mother did not allow Student to be interviewed, they did not have sufficient information to implement a plan of assistance. However, the three worked up a proposed Behavior Support Plan (BSP), which was presented at the follow-up June 11, 2012 IEP meeting, discussed below. Ms. Fera did not recall if Mother participated in the BSP discussions. 174. Other than Mother’s statement at the May 22, 2012 IEP meeting, Ms. Fera is unaware of any other reports of bullying, harassment, or mistreatment of Student. Also, there are no reports to the office or by any teachers that Student complained of being mistreated or bullied by anyone. 175. On June 11, 2012, the District reconvened the IEP team meeting from May 22, 2012. Attending were: Mother; Student; Ms. Gomez (interpreter); Ms. Lee; Ms. Emerson; Ms. Peterson; Ms. Dominguez; Ms. Fera; Ms. Singh; Mr. Endelman; and Dr. Pedro. 176. The team worked on developing the IEP, beginning with amending the eligibility page to reflect Student’s primary eligibility as autistic-like behaviors. SLD was listed as the secondary learning disability. Mother claimed that Student had SLD because he was taking low classes since he was young. Dr. Pedro explained to Mother in Spanish that Student’s primary disability was autism. He emphasized again, in response to Mother’s comments, that Student was not mentally retarded. 177. Mother was very animated throughout the meeting. Ms. Peterson, Ms. Fera, Ms. Emerson, Ms. Dominguez, and Mr. Endelman testified that Mother was involved throughout the meeting, speaking and interrupting. However, no one attempted to keep her from talking. 178. The team reviewed Student’s present levels of performance using teacher reports and the IEE assessments. Ms. Emerson reviewed Student’s speech and language level of performance, and further assessed his unique needs in pragmatics, syntax, morphology, semantics, intelligibility, and auditory comprehension. The team determined Student had social and emotional needs relative to his social skills, withdrawals, and symptoms related to depression and anxiety. They developed a behavioral goal. Dr. Pedro recommended an assistive technology assessment. The District agreed to conduct the assistive technology assessment and stated it would prepare and forward an assessment plan to Mother. 179. District made an offer of placement and services which Mr. Endelman described as a blended program. Student would be in a SDC for his core academic subjects. He would participate in CBI for vocational and independent living skills. He would continue to attend general education PE and have an elective in art, with a dedicated aide. His SAL weekly services would be one 45-minute session of group therapy and one 45-minute session of collaboration, as recommended by Ms. Emerson. The District offered 30 minutes of weekly counseling, 30 minutes per month of career awareness in vocational and work experience, and 30 minutes a month of independent living skills. 180. Mother requested that Student have home teaching for all subjects except his general education elective. Mr. Edelman explained that the law required the District to educate students in the least restrictive environment (LRE) and the most restrictive placement would be home teaching. Mother continued to insist, saying she was 100 percent sure that she wanted Student to be in home teaching. 181. support while participating in a class environment. Dr. Pedro explained, in response to Mother’s questions, that Student is most likely to benefit in a classroom because of the social learning dynamic. He explained that a fundamental part of learning was learning with other students. 13 Mother’s testimony is referenced throughout the factual findings. However, Mother often did not provide dates or contexts for many of her statements. Those are summarized in this section. 182. Mother testified at the hearing. She said that the schools had mislabeled Student’s disabilities, including mental retardation. She claimed that the reason Student was not on the same level as the other children his age was because the District and prior schools kept him in SDC placements and failed to give him speech and language services when he was young. 183. Mother said that Student was smart and that he should have been in general education classes. For many years, she has asked for a one-to-one aide for Student so he could be in general education classes for all his subjects. The schools always denied her requests, labeled Student, said he had bad behavior, and put him in SDC classes, where he did not learn. 184. She said that “last year’s” IEP showed that he did not learn in his SDC but was going backwards academically. When he got a chance to go to two general education classes, Student changed and improved. 185. Mother said she had proof that Student was smart enough to attend general education classes, with an aide, because Student writes very legibly when she works with him alone. In her view, Student could read like other students his age with his private tutor. She believed that the only reason Student had a low IQ was because Student never got the services he needed. 186. Mother claimed to have written numerous letters to the District, asking for the services that would help Student. She claimed that District did not respond to any of the letters. She said she asked for meetings with counselors, to see why her son did not get the classes he wanted, but that District ignored her. Mother said that when she would attend meetings and IEP team meetings, she was always ignored. Though Mother said she had copies of every letter; none were offered as evidence. 187. When asked about the May and June 2012 IEP team meetings and the changing of eligibility from multiple disabilities to autism as the primary eligibility, Mother replied that District did not change anything. 14 Mother called the family priest, Father David Gallegos, to testify about Student’s academic capability and performance. In this regard, Father Gallegos could not provide any relevant testimony. However, Father Gallegos said Student became increasingly social and outgoing over the previous few years. 189. Mery Taylor was Student’s psychologist, beginning in September of 2012. Dr. Taylor had been a licensed psychologist with CHOC, since 2005. She testified at the hearing. 190. Dr. Taylor received a bachelor of arts in psychology from the University of California, Berkeley in 1993. From the University of Kansas, she received a master’s degree in 1999 and a doctorate in 2005, both in psychology. She was issued a California license in 2008. She previously worked as a registered psychologist at Children’s Hospital at Los Angeles between 2002 and 2005. From 2001 to 2002, she was serving an internship at Children’s Hospital at Boston. 191. Between June and July of 2012, Student was evaluated by Dr. Priscilla P. Armstrong at CHOC. Therapy was recommended and Student saw Dr. Taylor for a session with his Mother in September of 2012. Mother reported that Student was bullied at school, but gave no details. 192. Dr. Taylor thereafter had three sessions alone with Student. Student reported that he was being bothered by other students. Student said he was bullied because he was fat and he was teased about his weight, referring to the 2011-12 school year. Since the beginning of the 2012-13 school year, Student said there was only one other student that teased him. Student did not, or could not, provide further details. 193. Student also stated that he liked his regular education classes and wanted to continue to attend at school. Dr. Taylor’s report in this regard demonstrated some confusion and lack of understanding on the part of Student. 194. Student’s statements about what he wanted for his schooling were very similar to Mother’s statements. Mother had previously told Dr. Taylor that she wanted Student to be home schooled for his special education classes, while attending school for his general education elective class. Therefore, it is unclear if Student was merely repeating his Mother’s wishes. 195. Dr. Taylor performed a mental status assessment to make sure that Student was safe; she concluded he was. She was aware that in the spring of 2012, Student had been taken to the hospital by the police for an evaluation, but was not considered a risk and was sent home, never having been admitted to the hospital. 196. Dr. Taylor testified that Student needed psychological therapy. She diagnosed Student with Depressive Disorder NOS. She believed that Student did not feel safe, because of being bullied. Therapy would assist Student in feeling more secure and confident, which would help him academically. 197. Notably, Dr. Taylor had few details regarding Student’s alleged bullying. She confirmed that Student had never been physically harmed. Neither Student nor Mother provided names, frequency, or locations. Dr. Taylor testified that she wanted to talk to Student’s school and review his records and any reports of bullying. However, Mother refused to grant permission and Dr. Taylor was unable to obtain further information, which would have verified Student and Mother’s representations. She could not observe Student in school or with classmates. She could not talk to Student’s teachers. She believed it would be beneficial if Student’s school was aware of his therapy. She was unaware if Mother informed the District. Dr. Taylor would have been assisted in her therapy if she had an opportunity to communicate with Student’s school. 198. Dr. Taylor was unaware that Mother had forbidden school officials from talking to Student regarding the allegation of bullying. She was unaware that neither Mother nor Student had provided any details to the school regarding the identity of the other students, what had been said, when the occurrences happened, and how often. 1. In a special education administrative due process hearing, the party seeking relief has the burden of proving the essential elements of its claim. (Schaffer v. Weast (2005) 546 U.S. 49, 56-62 [126 S.Ct. 528, 163 L.Ed.2d 387].) In this matter, Student has the burden of proof. 2. A request for a due process hearing “shall be filed within two years from the date the party initiating the request knew or had reason to know of the facts underlying the basis for the request.” (Ed. Code, § 56505, subd. (l).) Here, Student did not produce evidence at hearing to show that any exception to the statute of limitations applied, such that the claims are limited to two years prior to the date the complaint was filed. 3. In Issue One, Student contends he was denied a FAPE because he was bullied, that District failed to properly respond to reports of bullying and inappropriate treatment, and that the unabated mistreatment and bullying caused Student to suffer emotionally, to the extent that he could not access his curriculum. District asserts none of its teachers or staff saw any mistreatment of Student and Student never reported any bullying or mistreatment. Additionally, when Mother asserted that Student had been bullied, Mother did not provide any details and would not allow personnel to interview Student, thereby preventing District from responding. For the reasons set forth below, Student failed to prove by a preponderance of the evidence that Student was bullied or mistreated at school, that District failed to properly respond to allegations of bullying or mistreatment, or that the District was required to do anything different concerning any potential issue of bullying or mistreatment in the assessment process, the IEP process, or Student’s program. 14. Student failed to meet his burden of proof that District failed to properly respond to the bullying and mistreatment of Student. Mother did not present any credible or persuasive evidence in support of her contention that Student was bullied during the statute of limitations period. Mother’s assertions in this regard do not withstand analysis. 15. Mother never provided District with any details or factual support regarding the bullying or mistreatment. The IEP team first became aware of the allegations at the May 22, 2012 IEP. Mother said that Student was being bullied, further alleging the theft of a PSP and cell phone at some unspecified time more than a year before, and that Student was emotionally damaged. The day before, on May 21, 2012, she gave the school office a letter telling them that Student might harm himself. The school properly contacted the police, who went to Mother’s house and transported Student to the hospital for evaluation. He was found not to be a threat to himself or others and was sent home. Upon hearing allegations of bullying and how it disturbed Student, the IEP team requested that Mother allow the District to communicate with Student’s doctors and healthcare providers so it might fashion appropriate services for Student. Mother refused. 16. Mother also would not provide further details to the IEP team or Ms. Fera, who approached Mother after the meeting so the District could properly respond to the alleged mistreatment. Though Student was at the May 22, 2012 IEP, Student did not say anything to the team about being mistreated or the prior thefts of his personal items. Mother refused to allow Ms. Fera to talk to Student so District could obtain information about the alleged mistreatment. Mother never allowed the District to talk to Student about the alleged bullying. 17. Mother’s conduct in this regard is inconsistent with that of a parent who was concerned about her son’s mistreatment. A parent does not report that her child was bullied and mistreated, and then withhold the information that would enable the school to respond and protect the student. A reasonable and concerned parent would provide every morsel of information, including appropriate access to the student, to assure her child’s safety. 18. Notably, Student never informed anyone at school that he was being bullied or mistreated. Other than the single incident mentioned by Mr. McGuire, Student never complained of being teased, much less mistreated or bullied. Every teacher, aide, and administrator who testified credibly related that they never saw anyone mistreat Student at school. No teacher, aide, or administrator was aware of any assertions that Student was ever mistreated at school. 19. The District convincingly established that its teachers and personnel are trained in responding to incidents of mistreatment and bullying. Mr. McGuire and Ms. Peterson both testified to the protocol of immediately responding by obtaining more information, talking to the students involved in the incident, evaluating the incident, and implementing an appropriate response. Any report of Student being bullied would have initiated the protocol. 20. Additionally, Student’s general demeanor and conduct at school was inconsistent with that of a student who was being bullied and too emotionally distraught to access his curriculum. Teachers and aides described Student as sweet and a hard worker, who enjoyed talking to his peers. All his teachers complemented Student for his effort in class and his growing willingness to ask questions when he needed help. Though Student would sometimes go off task, every District employee testified that he would quickly respond to verbal redirection. When testifying, Ms. Peterson and Ms. Ambrosius convincingly expressed genuine care for Student. General education teacher Ms. Mathen spoke of Student’s dedication to completing his 3-D Design projects. 21. Mother’s claims that bullying caused Student increasing emotional trauma during the 2011-2012 school year was further undermined by the testimony of Student’s own witnesses. Though Father Gallegos could not provide insight into Student’s academics, he did unequivocally state that Student had grown increasingly social over the previous few years. Student’s private tutor, Mr. Perez, emphasized at the conclusion of his testimony that, over the 2011-2012 academic year, Student substantially changed. Initially, Student was timid and quiet, whereas by the time of hearing, Student was more social, able to express himself with others, and participated in friendship groups. 22. Student’s therapist, Dr. Taylor, testified that Student was depressed, after seeing him three times since September 2012, after the filing of this matter. She reported that Student said he had been teased the previous year about his weight, although there was only one person still teased him. Ms. Taylor’s testimony regarding statements by Student and Mother are credible. However, Ms. Taylor’s testimony about Student’s statements regarding his feelings toward school were completely uncorroborated and do not appear genuine, particularly since they were in stark contrast to his demeanor and conduct at school. 23. Student told Ms. Taylor that because he was being bullied, he wanted to be taught at home, and go to school only for his elective classes. This is strikingly similar to Mother’s most recent demand that Student be schooled at home, and go to SHHS for his elective classes. It is unlikely that Student would have devised a detailed alternative educational placement on his own. Instead, he appeared to be repeating Mother’s wishes. Student’s statement to Ms. Taylor was also inconsistent with Student’s increasingly social interaction at school and his progress throughout the year in self-advocating with teachers in class. 24. Ms. Taylor testified that she would have been better able to evaluate and serve Student if she was able to speak to Student’s school regarding the alleged bullying and his school environment. However, Mother refused to grant her permission to talk to the school and, as a result, Ms. Taylor was unaware that Mother had failed to provide the school with any details or even allow the school to interview Student about the alleged mistreatment. Mother’s continued refusal to provide information, or to allow others to obtain information that would assist Student, is inconsistent with a parent who was seeking help for her bullied son. 26. Student contends he was denied a FAPE because the District failed to consider documents and opinions from Student’s neurologist, psychologist, and pediatrician, which resulted in placement and services that did not meet Student’s unique needs. District asserts that Mother presented only one physician letter, which was considered, discussed, and adopted by the IEP team. District asserts that Mother steadfastly refused to allow District access to Student’s medical records and treating physicians. Finally, District funded an IEE by a neuropsychologist and an educational psychologist, and the IEP team considered and adopted the recommendations of the IEE assessors. 30. Legal Conclusions 1 through 29, above, are incorporated by reference. 31. Student failed to meet his burden of proof that District failed to properly consider documents and opinions from his doctors or experts. Mother did not present any credible or persuasive evidence in support of this contention. Instead, the District convincingly established that it properly evaluated Student in all areas of suspected disability and considered all information it could obtain from Mother, even though Mother steadfastly refused to provide District with medical records and access to Student’s neurologist, therapist, or other doctors. 32. The documentary and testimonial record establish that District responded to Mother’s many requests for meetings and IEP’s, at which Mother was demanding, argumentative, and often rude. Mr. Endelman said that he attended three IEP team meetings and had 10 private meetings with Mother in one year. The evidence demonstrated that District personnel were patient with Mother, despite her often abrasive conduct, allowing her to speak and express herself. The evidence indicates that Mother regularly stated her demands and District listened. 33. District sought medical records when Student first enrolled in District. When the school nurse issued and presented her health report at the November 2010 IEP, the team asked for permission to contact Student’s doctors. Mother refused. Similarly, Mother did not permit District to contact CHOC or Student’s neurologist. 34. When Mother presented the neurologist’s April 24, 2012 letter at the May and June of 2012 IEP team meetings, the team discussed the doctor’s statement that Student had been diagnosed with autism and Asperger’s. The team agreed with the autism diagnosis but disagreed that Student had Asperger’s. Dr. Veronica, the independent, Spanish-language assessor, evaluated Student and concluded he did not have Asperger’s. However, in an apparent effort to address Mother’s concern about the eligibility category, the IEP team changed Student’s eligibility from multiple disabilities to autistic-like behaviors. 35. Also at the May 22, 2012 IEP team meeting, Mother said Student had been taken for an involuntary psychological evaluation the night before because of emotional damage caused by bullying. The IEP team asked permission to communicate with Student’s doctors so they could evaluate and respond to Student’s needs. Mother refused. 36. The evidence unequivocally establishes that District considered and responded to any and all medical or psychological information Mother provided. The evidence further affirms that Mother consistently denied District access to Student’s medical and psychological information, which the IEP team sought to better evaluate Student’s needs. 37. District reviewed and adopted the findings of independent assessors, Dr. Pedro and Dr. Veronica, who were chosen by Mother for an IEE at public expense. Mother believed that the IEE results were not accurate because the District and schools never gave Student the support he needed. However, the IEE results were strikingly consistent with District’s assessments of Student’s present levels and needs. Mother rejected the findings and recommendations of Drs. Olvera, because they confirmed the appropriateness of District’s assessments and agreed with the District’s offers of placement and related services. 39. Despite these demonstrable efforts, Mother testified that the District found Student to be “mentally retarded.” The evidence persuasively demonstrates that Mother continued to assert that District labeled Student mentally retarded so she could claim that District improperly placed Student in SDC’s. Mother rejected any District assessment, evaluation, or recommendation that suggested Student required specialized academic instruction in a SDC. Mother rejected the findings and recommendations of her own experts because they confirmed the District’s prior findings and affirmed the need for SDC placement. Student’s claims for relief on Issues One and Two are denied.